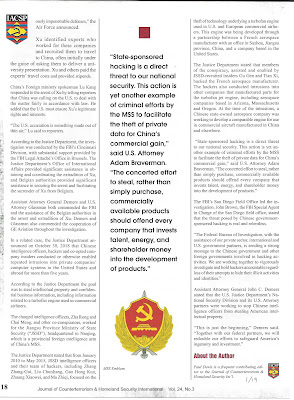 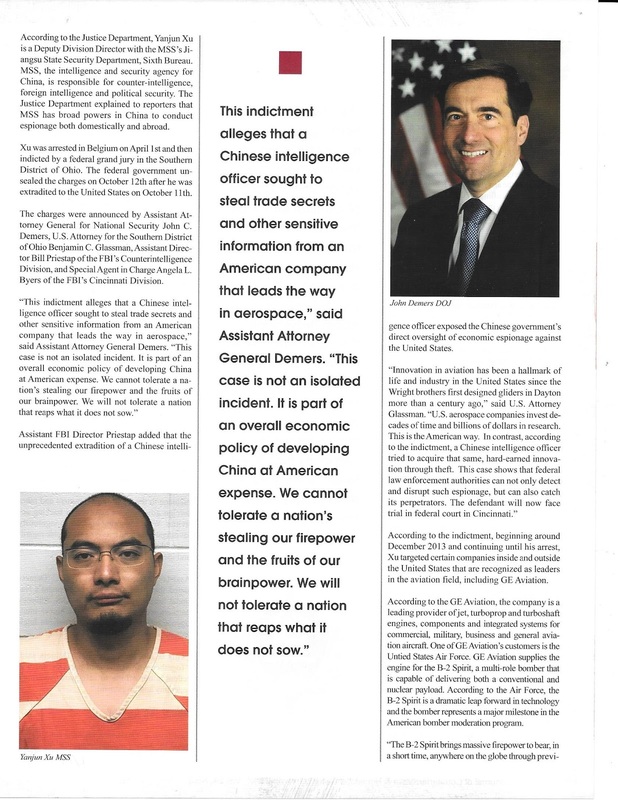 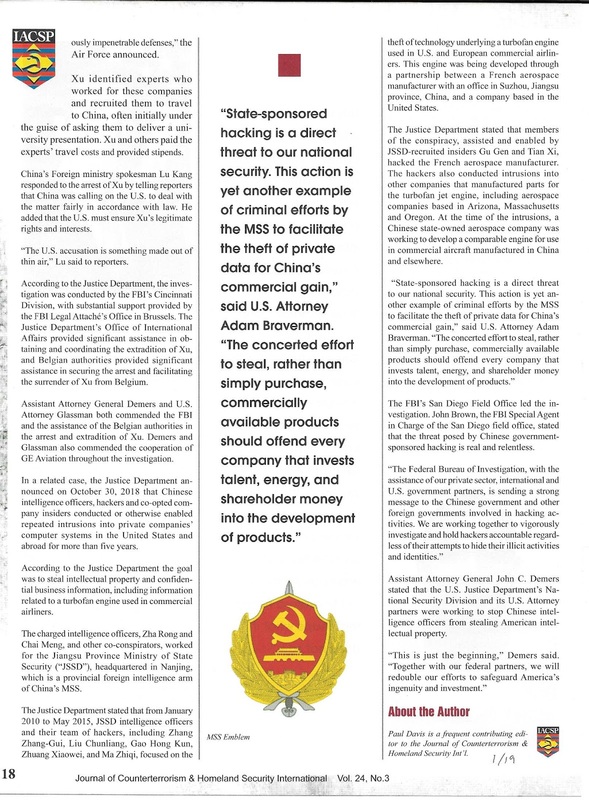 Counterterrorism magazine published my piece on two cases that expose and illustrate China’s campaign to steal America’s trade secrets. 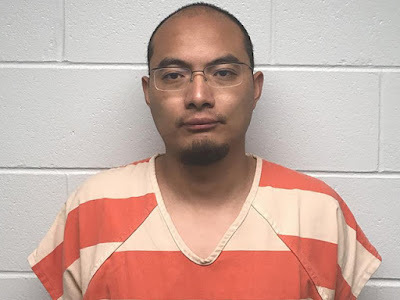 One case involves the arrest of a Chinese Ministry of State Security (MSS) intelligence officer named Yanjun Xu (seen in the above photo). 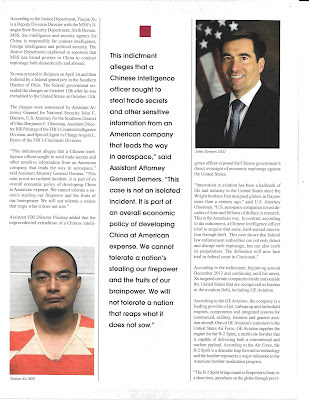 He was charged with economic espionage and the theft of trade secrets. 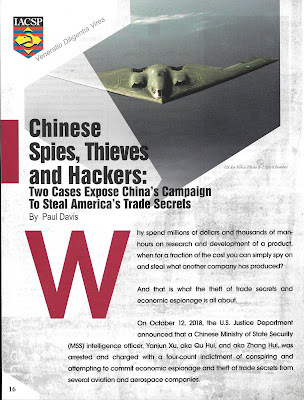 The second case involves Chinese intelligence officers and hackers intrusions into American companies’ computer systems in order to steal trade secrets.